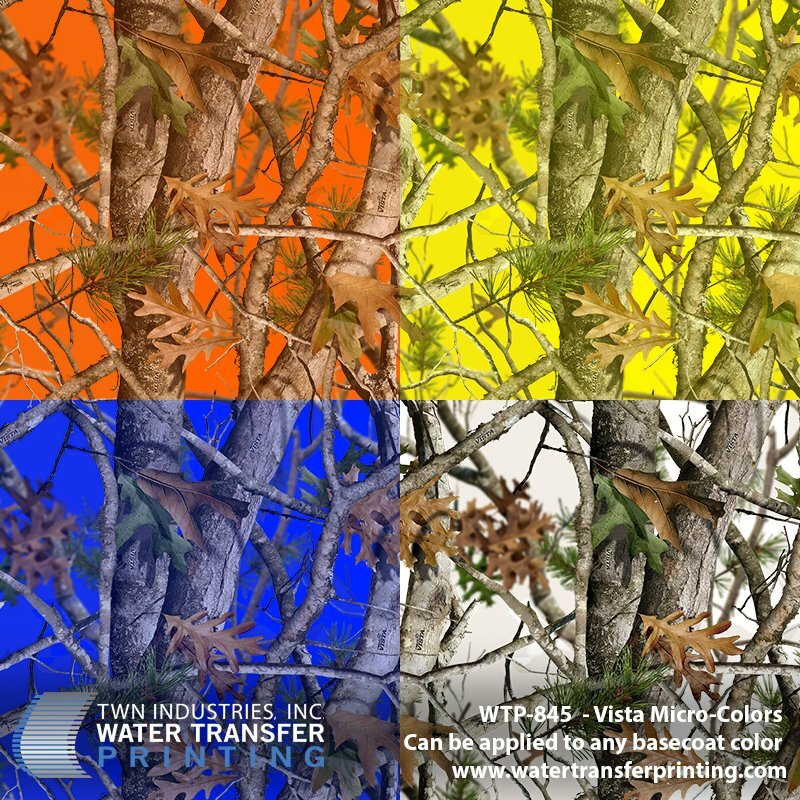 PRINCETON, FL – November 4, 2015 – TWN Industries Inc., the leading Water Transfer Printing supplier, releases Vista Micro-Colors. 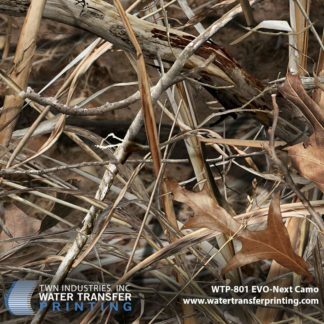 In addition to providing the same spring and fall coverage as the original Vista print, Vista Micro-Colors now gives water transfer printing professionals the ability to use any desired basecoat color. 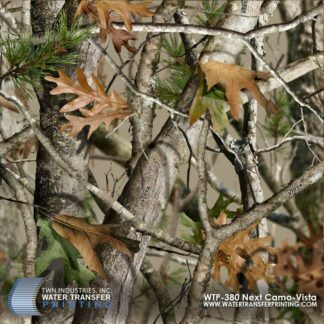 This new direction will open up the market by empowering WTP processors to create designs that are unique enough to satisfy a wide range of customer styles and trends. 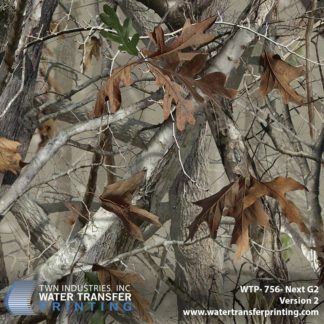 And with the recent explosion of stylized colors adorning the once neutral and classic camo designs, Next Camo is sure to fully capitalize on the trend. Another added benefit is the reduction in pattern size. Since the overall size is now 35 percent of the original, it ensures the pattern will look great on an even greater number of parts. 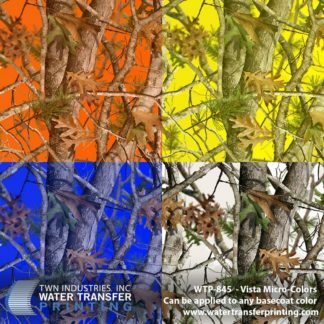 The Vista Micro-Colors water transfer printing film pattern is available exclusively through TWN Industries, Inc. Three-meter accessory packs are available immediately. Place your production roll orders today. The part number for Vista Micro-Colors is WTP-845. To find a TWN Certified Decorator who can decorate products for you, or to purchase film, call 305-258-9622.